What is Rick Astleys real name? What was Ricks first job after leaving school? 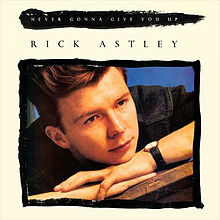 What was the follow up U.K. release single to Never Gonna Give You Up? In which year was the Album Hold Me In Your Arms released in The U.K? In which year did Rick Astley first retire from the Music industry? Yes ! Perfect score !